We’ve partnered with some of the world’s most extraordinary properties to offer a series of experiences that will submerse you in the most astonishing, eye-opening and unforgettable corners of the globe, then cradle you in comfort at the end of a day well spent. Here are some of the most frequently asked questions about our new collection. 1. Will booking with B&R be more expensive than booking directly through the property? No! Because of our strong relationship with each of the properties in our collection, B&R is able to offer our travellers upgraded amenities and experiences at each property – at no extra cost to you. 2. If the price is the same, why should I book with B&R? 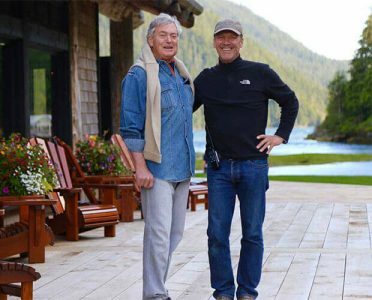 Because we’ve spent more than 50 years befriending the visionary owners, proprietors and hotel managers at the world’s most breathtaking properties—and they love when we introduce them to new friends. Booking a Spectacular Stay with B&R is like getting a VIP pass to the world’s most incredible resorts, sanctuaries and lodges. Our travel experts can recommend the very best activities each property has to offer and provide insider knowledge on questions about room categories, cuisine and more. In addition, when you book with B&R you’ll have access to our talented team of Travel Advisors and Trip Designers who can help you coordinate, plan, build upon or expand your trip into an even grander journey. 3. Will a B&R guide accompany me on my stay? No, these stays do not include a B&R guide. We’ve hand-selected each of the properties in our collection to ensure they offer the same level of splendour, service and comfort that travellers expect from B&R, so even without a B&R guide, we guarantee that you’ll be in good hands (although we can’t guarantee that the dinner conversation will be quite as entertaining!). If you’re interested in expanding your stay into a Bespoke trip that would include a B&R guide, feel free to contact our Private Travel team: bespoke@butterfield.com. 4. Do I have to choose just one property, or can I add multiple properties together? You can expand your journey in any way you like. If you’d simply like to stay at multiple properties within our collection, our Travel Advisors can help you coordinate dates and arrange transportation between properties. Additionally, you can choose to make your stay at a given property just one stop on a grander journey. 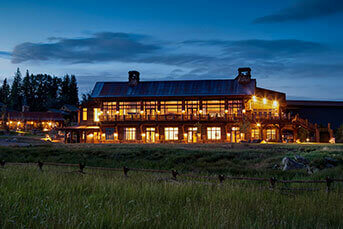 Feel free to contact our Private Travel team: bespoke@butterfield.com to discuss ways you can expand your adventure. 5. How long will my stay be? That’s ultimately up to you, but many of the properties in our collection recommend minimum stays of two or three nights in order to fully take advantage of all the activities and amenities the property has to offer. 6. How do you choose which properties to include in the collection? We’ve always prided ourselves on going the extra mile to find hotel properties that reflect the character of both their regions and their hoteliers—think 13thC castles turned luxury chateaux, or a Japanese ryokan whose owner loves sharing a good glass of sake with us. But the properties in our Spectacular Stays collection go beyond even our lofty standards. In order to qualify, each property must offer a unique experience unto itself, one that will not only envelop you in splendour and comfort, but fully immerse you into the local landscape and culture.